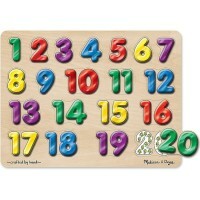 This numbers learning puzzle by Melissa & Doug includes a puzzle board with the numbers 0-9 wooden pieces with pegs. 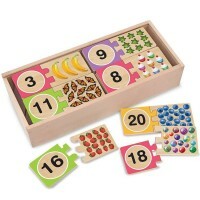 Count away with See Inside Numbers Peg Wooden Puzzle! With this numbers learning puzzle young Einsteins will easily learn their single digits. 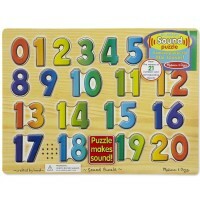 See Inside Numbers Peg Wooden Puzzle by Melissa & Doug is an easy and entertaining way to teach toddlers their numbers! Each number peg has a colorful picture underneath to help show number value. 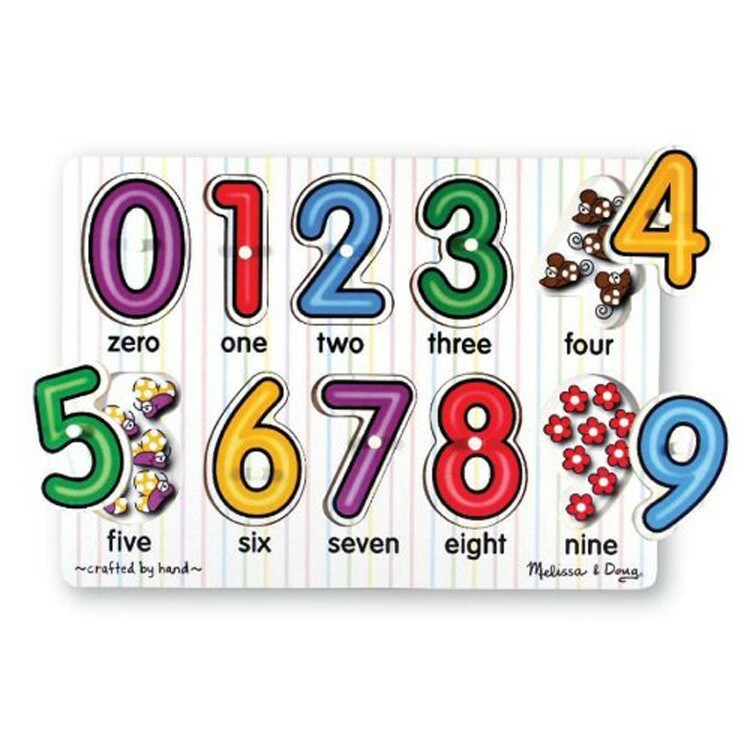 This numbers puzzle is perfect for at home, in the classroom, or even on-the-go! 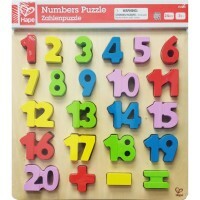 This numbers puzzle set includes a puzzle board with the numbers 0-9 wooden pieces with pegs. 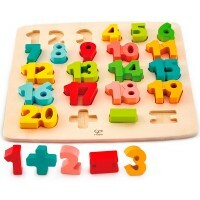 Educational Toys Planet offers this quality number teaching toy so that little mathematicians will have an enjoyable and educational time all in one! 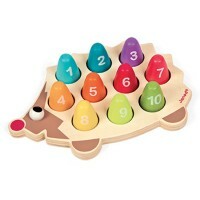 Write your own review of See Inside Numbers Peg Wooden Puzzle. 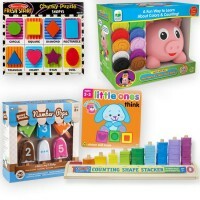 Rating: 4 Durable, fun and educational by Jessica G Puzzles are so educational and foster so many skills! 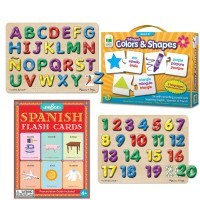 They are one of the best possible toys for young children because they learn so many things. This puzzle incorporates number recognition, color recognition, spatial skills, problem solving and more! If you buy the right kinds of toys, you won't have to buy that many. 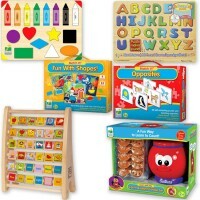 Plus, Melissa and Doug makes the best puzzles and toys out there. They are durable, colorful and totally developmentally appropriate. Rating: 5 Thank you! by Stephanie, IL My son is really learning to recognize his numbers better because of this toy. Rating: 4 by Monica, UT I like that the pieces fit well and that the pegs allow for my daughter to put them in herself. 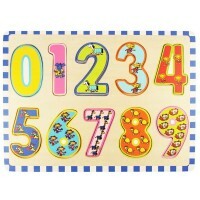 It is a good teaching tool to have the amount of objects behind the number. She has learned zero means having nothing really well. Rating: 5 by Vivian, NJ Exceptionally, educational activity toy. 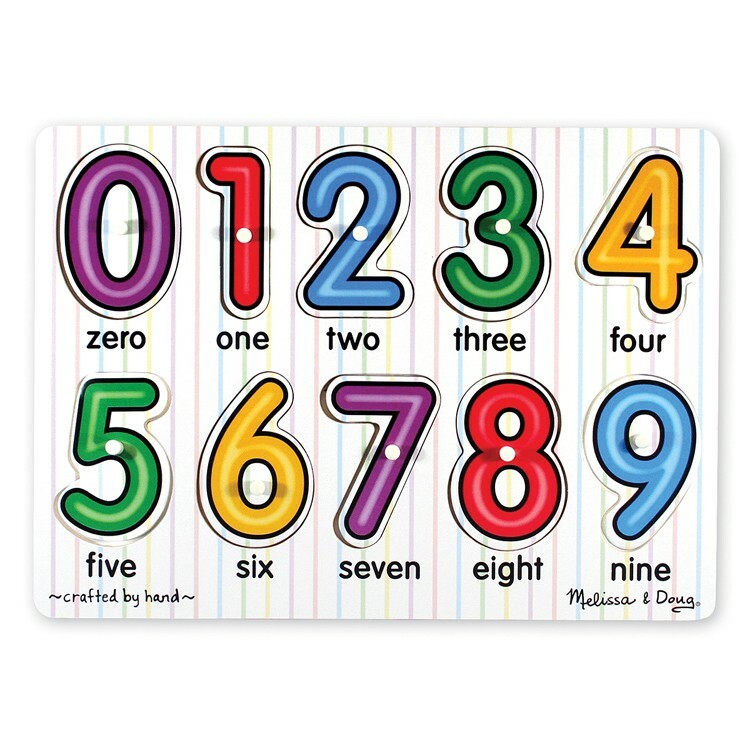 The identification and counting of numbers helps any child discover the love for learning. this is an amazing toy. I'm intrigue. Rating: 5 by Sara, WA This a better puzzle than others I have purchased because it has the pegs on the number pieces. The pegs make it easier for my daughter to play with the puzzle.